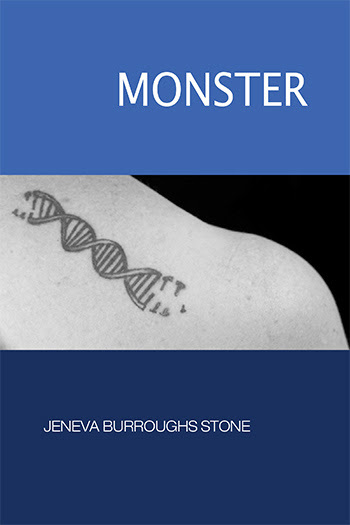 Jeneva Burroughs Stone is the author of Monster (Phoenicia Publishing 2016), an exploration in poetry and lyric prose of the effects DNA variation has had upon her family, especially her son Robert. Stone writes, “Our genetic fabric is monstrous—purposefully shape-shifting and awesome in its effects as it fulfills its evolutionary purpose, to make each of us unique.” Stone’s work has appeared in Poet Lore, Waxwing, jmww, Colorado Review, and New England Review. Her work in nonfiction has been honored with fellowships from the MacDowell and Millay Colonies. She and Robert live in Maryland. Her website: https://jenevastone.com/. “Through the Looking Glass in Iraq,” Wartime Issue, Spring 2006.